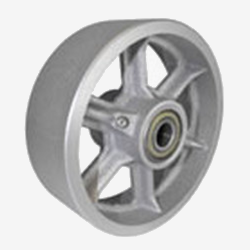 Steel Wheels - Casters Of Amarillo, Inc.
ASTM 1045 high carbon steel is hot drop forged to improve grain structure of the wheel, enhancing ductibility and tensile strength. This is the ultimate extreme duty wheel. 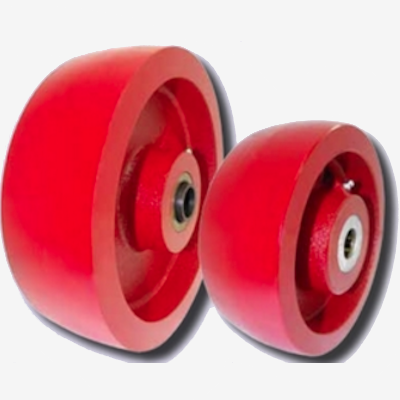 Offers the maximum weight capacity, impact strength, durability and roll-ability of all our wheels. Tread face is precisely machined for a smooth, centrical ride, tread edge is machined round. Precision & tapered bearings maximize mobility and performance in towing and severe use environments. Semi-steel/Cast iron, offers a strong, durable, cost effective solution for heavy loads. Hard tread rolls easily and offers high abrasion resistance. Tread face is precisely machined for a smooth, centrical ride, tread edge is machined round. Ductile steel is a combination of special alloys that give it higher weight capacities than cast iron, and is more economical than drop forged steel. Also referred to as malleable iron, material may flex rather than cracking or breaking when submitted to an extreme shock load. Extra thick walled, heavy-duty core, hub & tread face. Precision & tapered bearings maximize mobility and performance in towing and severe use environments. Higher capacity than semi steel. Thicker tread, stronger spokes & larger hub diameter. 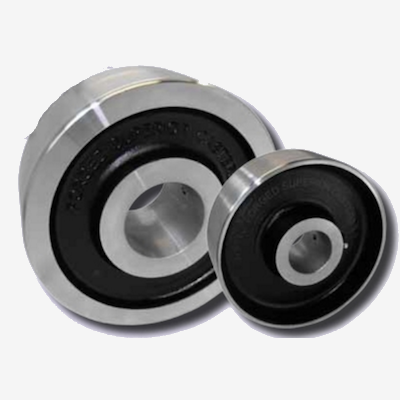 Sealed precision bearings increase mobility and require no maintenance. 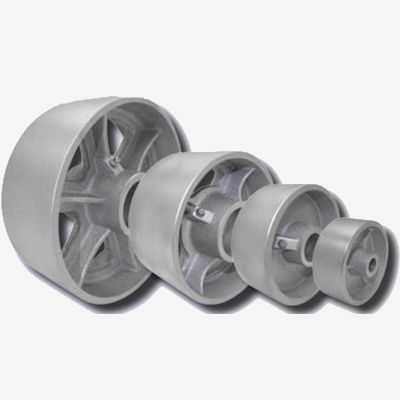 Energy Saver Ductile wheel features a crowned tread that rolls and maneuvers better than flat tread wheels. 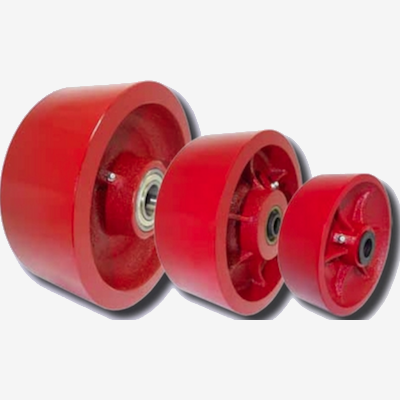 Combination of crowned tread and optional precision tapered roller bearings require less effort to start up and maintain a rolling load, maximize weight capacity and perform well in severe and abusive applications. Ductile steel is a combination of special alloys that give it higher weight capacities than cast iron, and is more economical than drop forged steel. Also referred to as malleable iron, material may flex rather than cracking or breaking when submitted to an extreme shock load. Extra thick walled, heavy-duty core, hub & tread face. 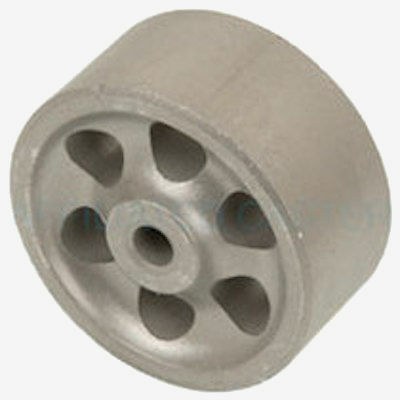 Sintered Iron wheels are made from super compressing powdered iron into wheel molds that offer a strong, durable, attractive looking, cost effective solution for light-medium duty loads. Hard tread rolls easily and offers high abrasion resistance. Tread face is precisely machined for a smooth, concentric surface, tread edge is machined round.